A two car crash sent five people to the hospital Tuesday evening in Meade County. The crash occurred shortly after 7 p.m. on highway 54 at milepost 56.1. The Kansas Highway Patrol reports 21 year old Itzel Gomez Valle of Guymon was driving a Kia west when it crossed left of center and hit a Suzuki in the center of the eastbound lane. Gomez Valle was injured and life flighted to Wesley Medical Center in Wichita from Meade District Hospital. There were three injured passengers in the car. 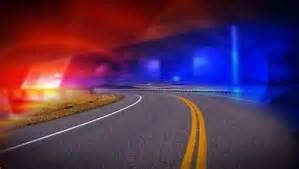 Forty-two year old passenger Erika Valle-Rivera of Guymon was injured and taken to Minneola District Hospital. Three year old Emmanuel Ponce of Guymon was life flighted to Wesley Medical Center. One year old Cuauhtemuc Valenzuela was taken to Meade District Hospital with a possible injury. The driver of the Suzuki 47 year old Delia Bencomo of Dodge City was injured and taken to Western Plains Medical Complex in Dodge City.